The Bowstring is one of the three fundamental components of any modern recurve bow. 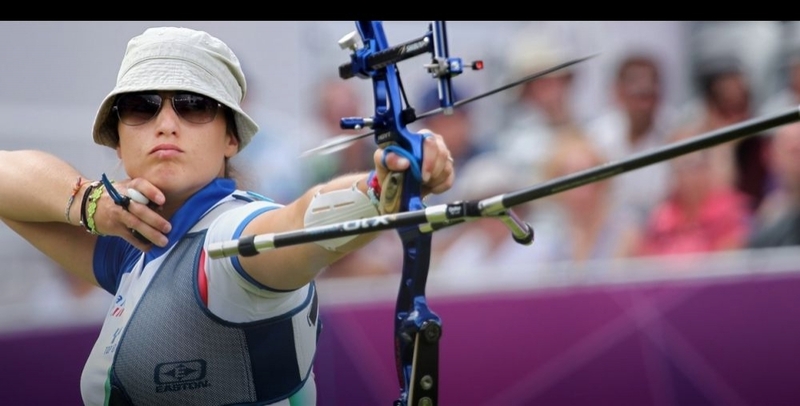 Limbs, riser and the string are all specifically called out in the World Archery rulebook as the main components of the bow. Without its string, even the most sophisticated, modern bow is merely a useless pile of parts. Your bowstring can have a profound impact on many aspects of shooting and bow performance, from tuning, grouping, and scoring to noise, vibration and even the longevity of the rest of your equipment. 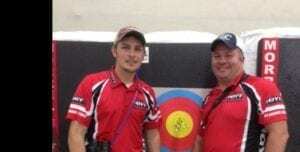 Competitive archers have seen more progress in the past 50 years than in the past several hundred years, when it comes to bowstring material technology. Waxed linen strings dominated our sport in the west for more than 600 years, right up through the 1950’s. Other materials found across the globe include horsehair, cotton, catgut, silk, and Chinese grass fiber, among others. In the later 1950’s and early 1960’s the explosion of synthetics quickly displaced traditional linen and similar natural materials. One of the first of these, still in some use today (mostly on beginner bows), was Dacron polyester. In the 1970’s and early 80’s, in high level target archery, non-stretch Kevlar strings displaced Dacron. These materials had many advantages over natural materials. Proof against moisture, more forgiving of large temperature swings, and more durable (in the case of Dacron). However some of these also had serious disadvantages, compared to modern Spectra or Dyneema based string materials. Dacron will continually stretch and change over time, while Kevlar will always, eventually, unexpectedly break, seemingly often in the course of a competition. Spectra/Dyneema based materials changed all of that. In fact, when the Hoyt Archery Company introduced Allied Signal Spectra fiber based string material to the archery industry in the early 1980’s, it proved to be one of the biggest single performance leaps in recurve archery in the past 40 years. Spectra and Dyneema are both, technically, Ultra High Modulus Polyethylene (UHMPE) fiber. There are some small differences between the two materials, and in particular, exactly how the fibers are spun, but they are, for the most part, identical. Practically impervious to many solvents, normal environmental conditions and moisture, the weak point with these materials comes into play at elevated temperatures typically beyond what one can expect to encounter in the course of a competition. Under tension, and in high temperatures, these materials will exhibit “creep” and stretch. In the mid 1990’s the “creep” characteristic of some UHMPE compound bow strings and compound cables led to the development of blended fibers using UHMPE and Vectran, a liquid-crystal polymer related to Kevlar. The blend helped arrest creep, a permanent stretching condition common on compound riggings made with Dacron or UHMPE cables, until the gradual and inevitable failure of the Vectran component in the string or cable would manifest itself over time. These issues can be managed by adopting good maintenance procedures and improved string waxes- waxes which lubricate the strands inside the string, slowing the breakdown of the Vectran component. For a compound, this lack of creep produces a longer-lived tune state. After all, it’s a relatively complicated thing to re-twist a compound cable or string, often requiring specialized equipment. Some recurve shooters also like the idea of a creep-free string, despite the fact that one can re-twist a recurve string in a matter of seconds. However, many recurve shooters feel these materials are harsh in terms of shot reaction, and more significantly, major recurve makers such as Hoyt and Win & Win specifically recommend against their use, as they are proven to reduce the life of recurve limbs in testing. The lack of elasticity and the resulting sharp spike in load that takes place every time the bow is shot with these materials can take a toll on limbs and other components. Most accomplished shooters who choose to use these materials, despite manufacturer advice, typically run very high string twist and strand counts to help compensate for the “abrupt” feel from these materials. As the blending processes for these materials have improved to address the harshness, a somewhat larger number of shooters have gravitated to these materials. But, the vast majority of top shooters use straight UHMPE strings. BUILDING THE PERFECT BEAST… ER, STRING. Even the very finest string materials can be wasted, if certain elements of string construction are overlooked. Well-constructed bowstrings all share a number of key features which enhance performance, durability, and reduce variability over time. One of the most important of these is the consistency of strand tension during construction. Incorrect or uneven individual strand tension can cause the string to change in unpredictable ways, especially when going from cool to warm conditions. Incorrectly tensioned strands can even cause an imbalance, causing the string to load at different rates from shot to shot. This is partly related to the fact that strings experience peak loads of many hundreds of pounds for brief moments when the limbs recover. One trick to help ensure that a well-made string is going to have good strand tension distribution in use, is to take all twists out of the string, string your bow (yes, the brace height will be low) and let it sit overnight. You can also take a few shots with the untwisted string with an arrow on a relatively close target. This will help force the tighter strands to stretch a little and allow the looser strands to take up their share of the load. When re-twisting to achieve correct brace height, be sure to twist in the direction that tightens the center serving. You can determine this immediately on an un-tensioned string simply by grasping each end of the served area between thumb and forefinger, and twisting. One direction will be harder than the other. Twist into this direction. Twist rate (twists per unit length) can also have a significant impact on string performance. Too few twists often makes for a noisier, harder to tune string, because any slight strand tension variability is amplified, and the string has less “give” to help with reducing noise and vibration after the shot. On the other hand, too many twists may reduce performance and may lead to a string which is more prone to stretching with use, or prone to tangling when unstrung. With that said, strings can work well with a fairly wide range of twists, for example for a 68” string, anywhere from 20-60 twists will produce acceptable results as long as the bow’s brace height (string height) is correct. Some shooters using Vectran blend strings, or even straight HMPE strings, like the feel of more twists. It seems that for a well-made string, the total number of twists isn’t terribly impactful on scoring potential, when the rest of the system is properly tuned- Simon Fairweather, for example, had more than 80 twists in the string he used to win the 2000 Olympic Games, and Brady Ellison typically runs 50-70 twists. Generally more twists will slow the bow slightly and potentially produce much less noise, while fewer twists will add a tiny bit of speed, but potentially more noise and vibration after the shot. 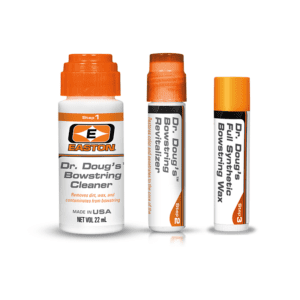 Serving materials are another important and integral part of the bowstring. However, servings have two very different functions on the bowstring. The end-loop servings must be abrasion resistant, but not abrasive themselves, so as to avoid damage to limb tips and underlying strands. End-loop serving should be low in mass, and must tightly grip the underlying string strands to prevent separations, loosening or fraying. On the other hand, the center serving has multiple functions with potentially different requirements than those of the end loop materials. Center servings must provide for a smooth and consistent release from the shooting tab surface, and also resist separation and loosening to prevent the nocking point from changing. They must also often be called upon to resist wear from brushing the armguard after the shot. Finally, they must keep their diameter over a long period of time, so as to prevent a change in nock fit. 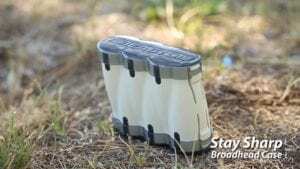 Certainly, there are a number of materials which function well as recurve serving, with the original Angel braided material (and the similar BCY Halo) still excellent choices for center servings, and material blends of Spectra/Dyneema and polyester such as BCY Polygrip are popular end loop material choices. 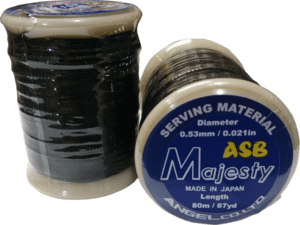 Interestingly, however, extensive testing shows that Angel Majesty serving material is actually one of the best materials for both of these applications, due to a unique combination of smoothness and tenacious locking ability on the underlying string strands. It’s a simple matter to say that strings with “more strands are slower and less strands are faster”, but the fact is when we change the number of strands in a string, we change more than one variable. For instance, a smaller diameter (less strand count) string also generally has a looser nock fit (if not compensated for). This can cause big changes in tuning, even beyond the effect of the strand count change. Obviously a strand count increase can cause the opposite effect. Experienced shooters are careful to account for this by using larger or smaller size throat nocks, or by using larger or smaller center serving diameter, to achieve a predictable and correct nock tension. Generally, nock tension should be set to allow an arrow to hang off a strung bow with the string hung parallel with the ground, but not so tight that the arrow can’t be dislodged with a sharp tap on the string. It’s not always obvious, but a small change in string mass weight at the center can have a lot more impact than a larger change distributed over the entire string. In fact, adding 10 grains to the center of the string has about 5 times the effect of adding 10 grains to the overall string. So, we need to choose accessories such as nocking points and kisser buttons with a bit of care- and, at least be sure to have these in place as you progress with tuning, since adding them afterward can cause a substantial change. “Wax is to an archer what tar is to a sailor; use it often, and always have two strings to your bow.” – Excerpt From: Saxton Pope, “Hunting with the Bow and Arrow”, 1922. Dr. Pope was right- you really need two strings. (“Two is one, and one is none”…) But, just as we don’t use quite so much tar with today’s boat designs as in Saxton Pope’s time, the need for waxing strings regularly has decreased dramatically over the past couple of decades. However, modern strings are well served by at least some maintenance. In some ways, especially for more traditional bows, it’s hard to beat one of my favorites, natural beeswax. But for more modern string materials, particularly the Vectran blended materials, string lifespans can be dramatically improved by using more modern synthetic waxes. Unlike paraffin based waxes, modern synthetic waxes add little weight to the string and keep the string weight more consistent, especially in wet conditions. These days, you can even get a total string maintenance kit, consisting of cleaners, restoratives and waxes. A number of manufacturers offer these total maintenance kits, including Easton. If you have come into archery in the past 30 years, you may not remember the “bad old days” of Kevlar and Dacron. But the truth is, very few archery-related items have made as much progress as string materials in the modern era. Even as good as modern materials are, accidents can happen. And, as we mentioned previously, any bow is useless without a good bowstring. So, it’s a great idea to always maintain at least two well-used strings, ready to go and interchangeable on any given bow. For a competitive archer, this is really very inexpensive insurance for competition performance.